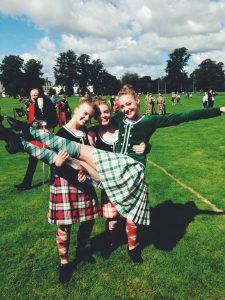 Earlier this week, Discover Scottish Dance, USA announced that three local Highland Dance champions will pack their bags, dance shoes and costumes to perform in the Royal Edinburgh Military Tattoo (Tattoo), one of the world’s most prestigious global presentations. Highland Dance is a traditional form of competitive solo dancing, with a rich Scottish heritage. 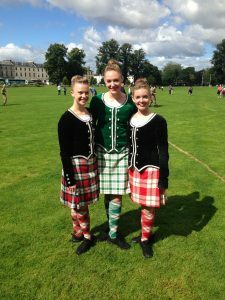 Locally, the Campbell School of Highland Dance , a family-run Scottish dance school located in Maple Glen, has all three of these chosen Highland Dance competitors as students. 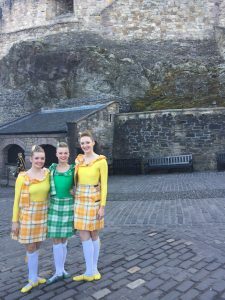 Impressively, this will be the fourth year Caroline Drummond (Maple Glen), Brigid Peyton (Maple Glen), and Maty Ennis (Glenside) auditioned for and were accepted to dance in the Tattoo. The dance company only accepted a total of six American dancers this year. 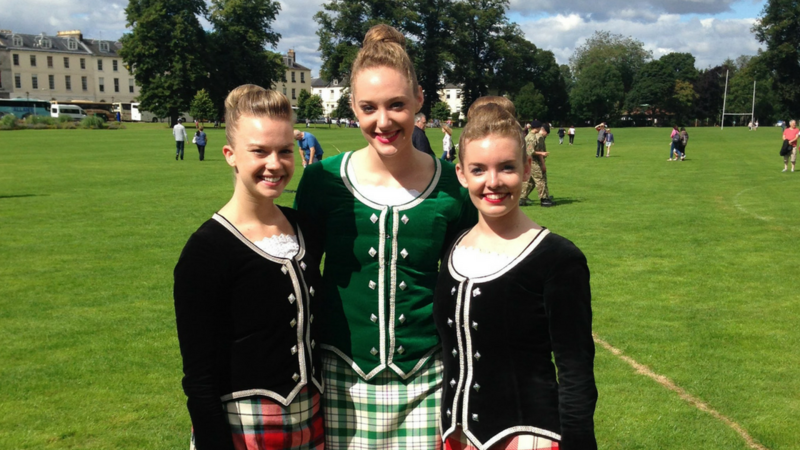 Maty, Caroline, and Brigid (ages 22, 20, and 21 respectively) have been dancing together for over 16 years at the Campbell School of Highland Dance. The art, precision, and athleticism of Highland Dancing continues to be perfected through daily practice, national and international competitions, and performance opportunities. All three of these girls have individually earned the title Champion on multiple occasions and together have won first place in the U.S. National Choreography competition for the past four consecutive years.